From the EP 'COVER BOY' - OUT NOW! Finally (Official Music Video) _____ Tonight Is What It Means To Be ... Official website for Matt Fishel. Musician, singer, songwriter, producer, London. 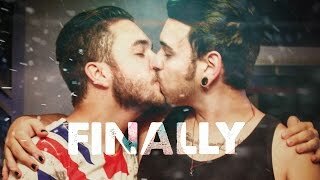 Matt Fishel - "Finally" (Official Music Video) ... Matt Fishel - "Testament" (Official Music Video) Official music video for Testament by Matt Fishel. Directed by Arno.